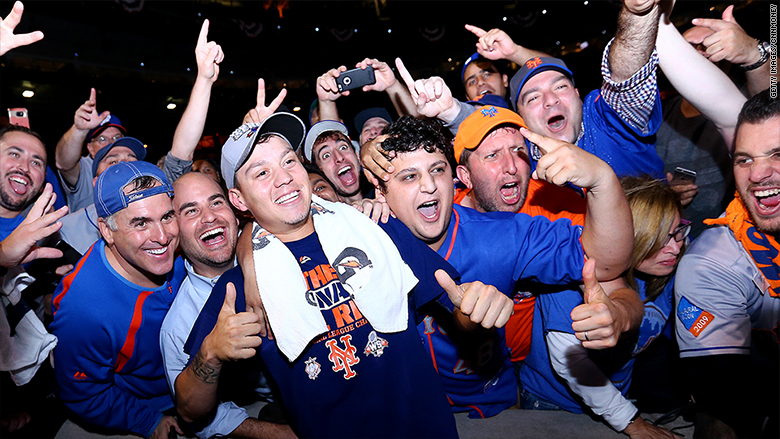 TBS, like Mets fans, had a lot to celebrate after this year's NLCS. The Mets-Cubs playoff series was a grand slam for TBS which racked up record viewership numbers during the four game series. The 2015 MLB National League Championship Series between what had been two lovable losers averaged 7.9 million viewers, the most-watched NLCS since 2010. The Mets and Cubs series also gave TBS, which is the sister network of CNN, its biggest NLCS audience ever. TBS has aired the games since 2007. Game four, which saw the Mets beat up on the Cubs 8 to 3 to claim the NL pennant, brought in 7.9 million viewers on Wednesday night. The most-viewed game of the series was game 3 which drew 9.2 million viewers. TBS's entire postseason coverage was up 48% from last year. The network's broadcasting of the Wild Card, Division Series, and League Championship Series of the NL averaged 6.3 million total viewers over 14 games. These numbers gave the network its most-viewed postseason coverage ever. The playoffs were also a big hit on the TBS live stream. Turner's TV Everywhere platforms generated 63 million minutes consumed during the MLB playoffs, which was up 60% from the year prior.